Do you ever feel distracted or overwhelmed by the “noise” of daily life—television, social media, traffic, work, or the stresses of your routine? While a personal mindfulness practice helps you stay present and focused, a mindfulness retreat is a chance to go deeper. You can step away from all the noise to pursue meditation and quiet reflection without distractions. A few days in a tranquil natural environment can help you rest, repair, and reawaken. Here are 8 reasons a mindfulness retreat will enhance your well-being and your personal mindfulness practice. Even if you maintain a personal practice, chances are you only sit for 30 or 45 minutes a day. A retreat is days of uninterrupted time to investigate your own mind and heart through self-reflection. Don’t worry about having to sit for days on end. Mindfulness retreats often include a combination of sitting practice, walking meditations, mindful movement, and short breaks. Family, work, and your cell phone tug you away from being fully mindful. A retreat in a tranquil natural setting can help you eliminate distractions and focus on being more present. You are encouraged to leave journals, magazines, and books at home. If you’re brave, you can turn in your cell phone to your instructor when you arrive. “The first time I handed over my cell phone, I was so nervous I was shaking,” remembers Anita, “but the experience without it was so I good. I couldn’t wait to hand it over before my second retreat. I’m proud of myself. You just have to trust that your kids are okay and your spouse is taking care of everything.” Anita explains that she provided the instructor’s contact information to her family in case of emergency. Enjoy the peace of noble silence. You might dread the thought of not speaking for several days, but many retreat participants report feeling freed by the practice of noble silence. “I didn’t feel like I had to act or put on a mask. I was just in my own space, working on me,” explains Nick Franks, another Atlanta Mindfulness Institute retreat participant. Besides, it’s not TOTAL silence. Typically on the first night you’re free to mingle and connect with other participants over a meal. Even after the silence begins, you’ll have opportunities to ask questions following a nightly lecture and during your one-on-one time with the instructors. On the last day you can share your thoughts about your retreat experience with the group. Gain wisdom and feedback from instructors. You can also take advantage of small group or one-on-one time with the instructors for personalized feedback on your mindfulness practice and retreat experiences. Atlanta Mindfulness Institute retreats take place at the beautiful Elohee retreat center, which offers comfortable accommodations and gourmet vegetarian cuisine. You won’t be “roughing it” for the weekend. If you’re uncomfortable sharing a room, you can request a single accommodation. Connect with your body though yoga. Mindful movement, such as light yoga, can help you be more present in your own body. For Nick, learning yoga at a mindfulness retreat opened a door for his long-term physical well-being. Apply what you learn to everyday life. 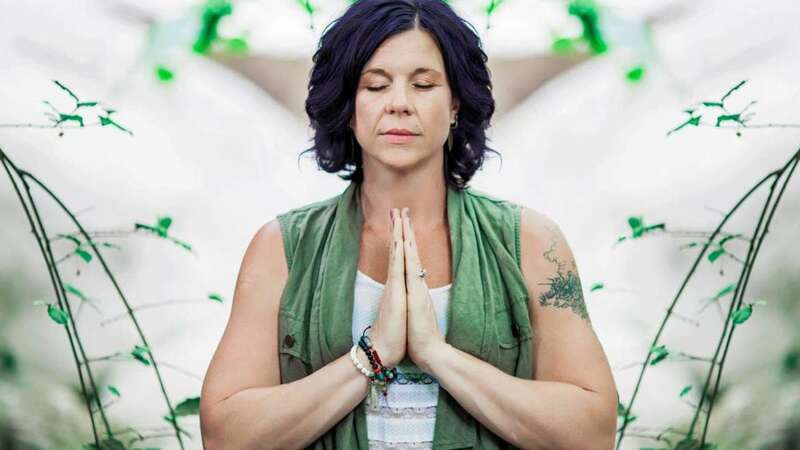 Wherever you are on your personal mindfulness journey, a mindfulness retreat offers you an opportunity to go deeper, eliminate distractions, and take time for self-reflection. You can immerse yourself in the awesome beauty of nature while you investigate your mind and heart. You’ll leave with a renewed sense of inner calmness, tranquility, and insight—as well as the tools to help you manage life’s many noises and distractions. Click to read more about Nick and Anita’s personal mindfulness journeys. Ready to step away from your daily routine for a few days of mindfulness, meditation, and self-reflection? Atlanta Mindfulness Institute offers retreats throughout the year at the beautiful Elohee retreat center. Click here to find an upcoming retreat.